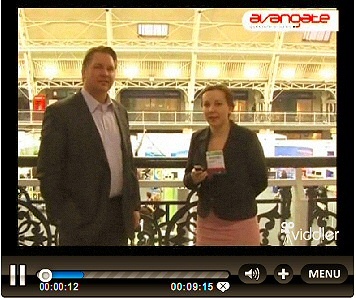 TopRank’s CEO Lee Odden was interviewed during Search Engine Strategies in London by Adriana Iordan of Avangate on how ecommerce and software companies can benefit from holistic online marketing through SEO, PR and digital asset optimization. Adriana: From your experience, what are the biggest mistakes you come across when it comes to PR online? Lee: Thinking that optimizing and submitting a press release all by itself is enough to get covered by the media, because it’s not. There is an expression, in the US at least, doing something to only see if it works it’s like “throwing spaghetti against the wall to see if it sticks”, it’s kind of a silly thing to do. 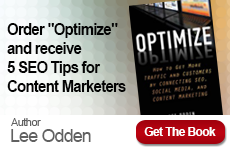 Read the full Lee Odden interview at Avangate. 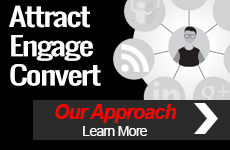 TopRank provides a holistic mix of SEO, PR and social media marketing services to Fortune 500 companies.